One of the first sewing projects I ever attempted was sewing a fabric applique onto a shirt. Today, it's still one of my favorites. It's easy, the possibilities are endless, and it makes a thoughtful personalized gift. 1. You'll need to start with a template. If you're feeling adventurous you can draw it free hand. I generally find my templates by doing a Google search. 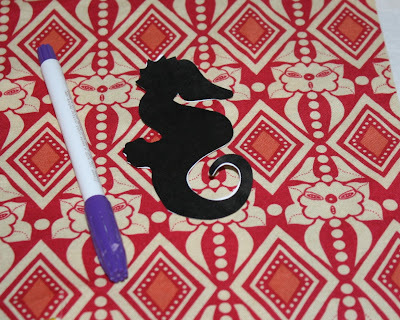 In this case, I was looking for a seahorse template for Jude's classmate who was having a seahorse-themed birthday party. 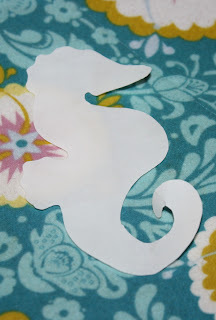 So I googled "seahorse templates". Next, I copy and paste the image I like into Pages (or you could use Word) so I can adjust the size accordingly. Then I print it. 2. Cut out the template, altering it as desired. I softened the spikes on the seahorse when I cut it out. 3. 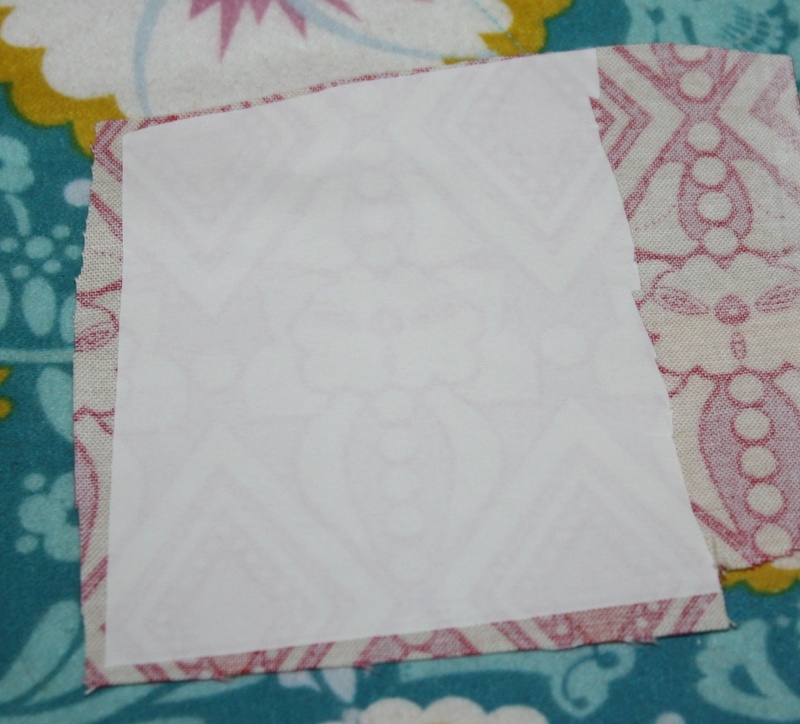 Trace the template onto your fabric using a fabric pen. 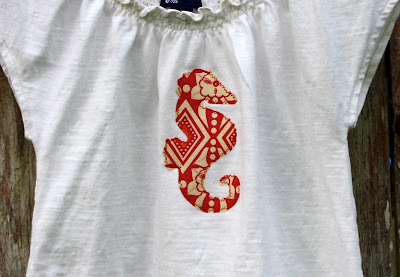 I chose this option because I wanted the eye of the sea creature in the fabric to become the eye of the seahorse. 4. Cut out the traced applique only roughly - do not cut the applique itself out yet! I generally cut around the applique in a rectangular shape to keep it simple. Some people like to reverse these steps and iron the interfacing on first and then trace the template onto the paper side of the interfacing rather than the fabric itself. The advantage of this is that you don't have to wait for the fabric pen to disappear or try to remove it with cold water. 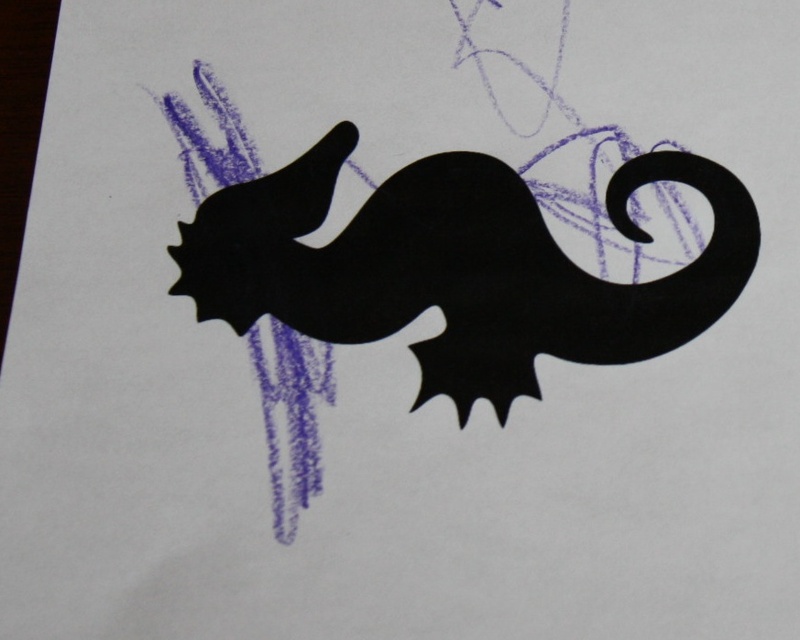 Additionally, I find it's easier to use the fabric pen on the paper than the fabric. If you do it this way and your template is directional (like a letter of the alphabet) you have to flip the letter when you trace it. so it looks like this after you cut it out. 6. Cut out the template. Then peel off the interfacing paper backing. 7. 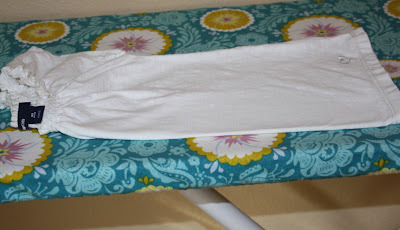 Fold the the shirt in half and iron it to form a crease. The crease will be your guide when positioning the applique. This way your applique will be exactly in the middle of your shirt. 8. 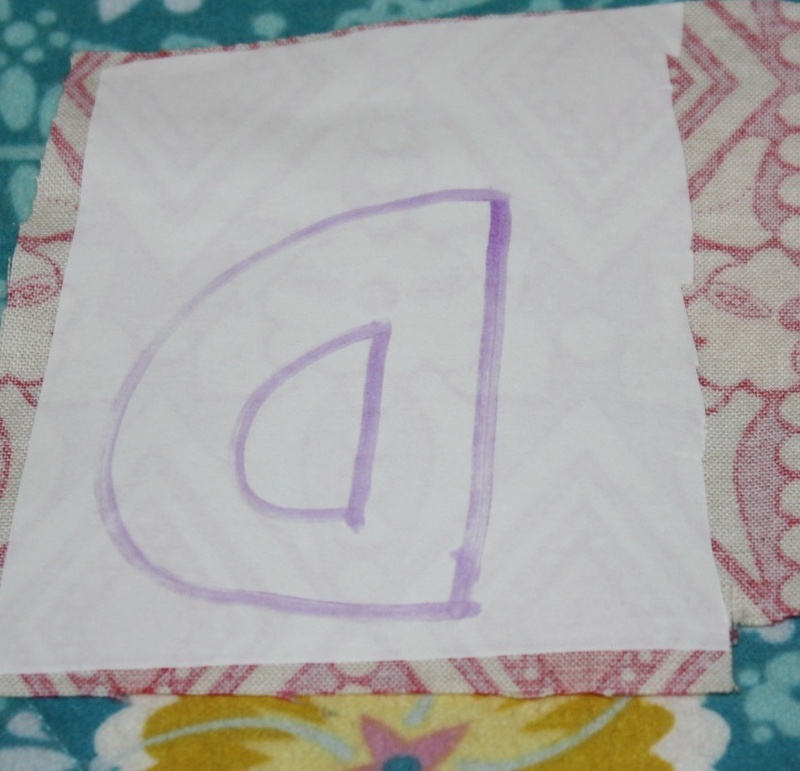 Fold your applique in half lengthwise to find the middle of the applique, forming a gentle crease. DO NOT IRON, only finger press. 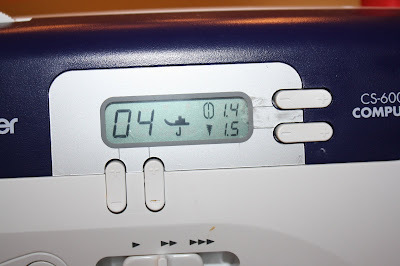 If you iron it after pulling off the paper backing, the interfacing will stick to your iron. 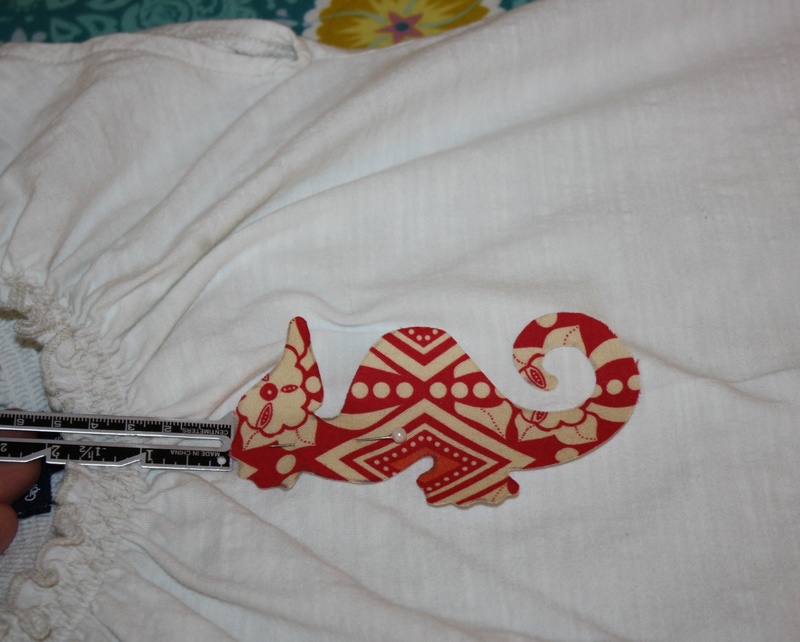 I generally place appliques 1-1.5" from the neckline. This may seem high but looks just right when worn. Pin in place and try it on your child. This is very important! I've had several instances where it looks good to me but then doesn't look right on. Even in this case, I ended up adjusting the applique after I had Indi try it. 9. 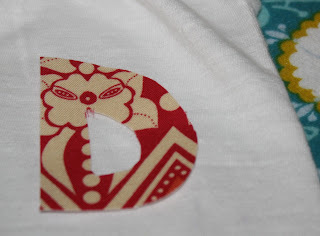 Iron the applique onto the shirt. 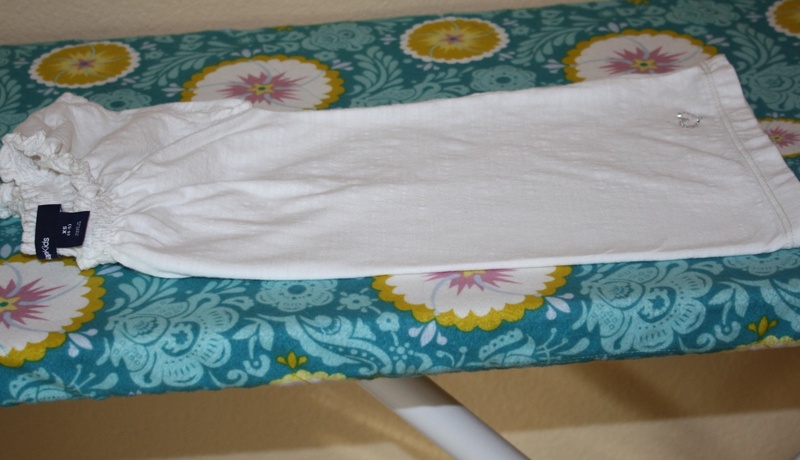 Once it's ironed on it's not moving, so be very careful with your placement, using your creases as your guides. 10. Unless you used a no-sew interfacing, you will now need to sew the applique. 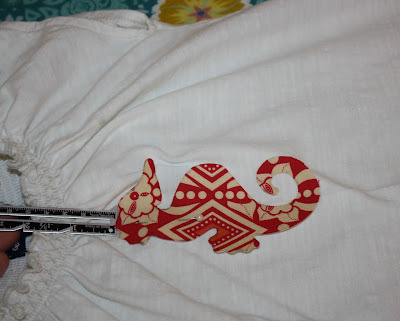 The interfacing will hold the applique in place while you do this. There's no need for pins. 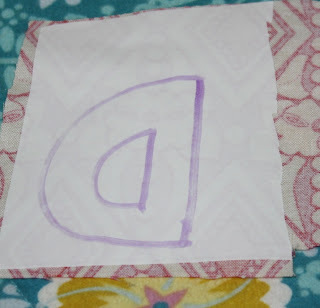 My favorite stitches for appliques are a straight stitch or a zigzag stitch. I don't like the look of my machine's applique stitch. 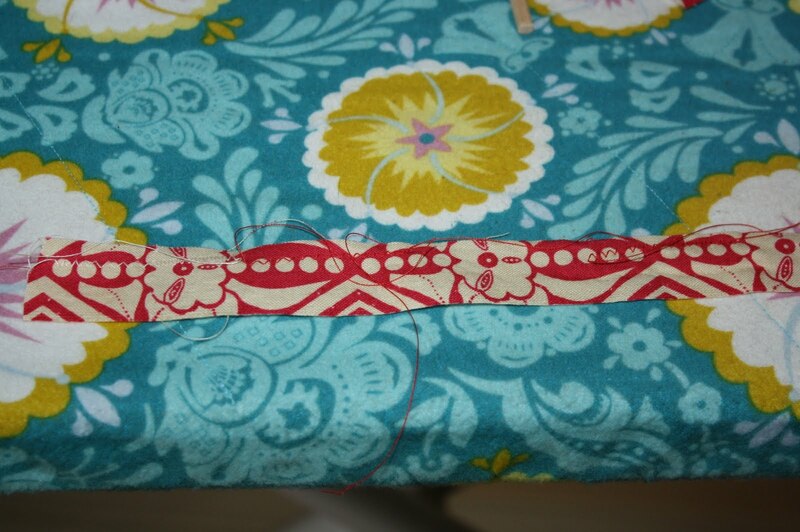 If you choose a straight stitch, the edges of your applique will fray a bit which can be a nice look. Just make sure you sew about 1/8" in. If you sew too close to the edge and it frays, the applique may start to come off in that spot. I generally use a zigzag stitch for this reason. I keep the stitch length on the standard setting, but decrease the stitch width considerably. The top number is my stitch length, the bottom is the stitch width. I recommend testing out the stitch and thread color on a scrap piece of the template fabric before you begin. This is easier than seam ripping later. Congratulations - Your appliqued shirt is finished! While this may look like a lot of steps, it's so simple when you actually do it. And so much fun!